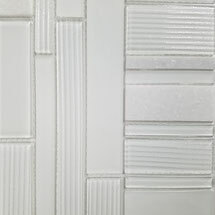 White is at once both the most neutral tone imaginable and the most elegant. Expressing both a light, airy feel and a striking cleanliness, white is perfect for making spaces feel bright and fresh. The demand for white countertops and tile in kitchens and bathrooms is at an all time high. 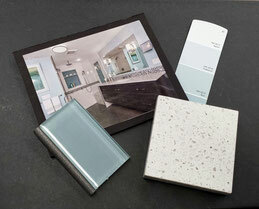 Combined with popular gray neutrals, white looks sleek and modern. Combined with pops of vibrant color, white looks fresh and crisp. 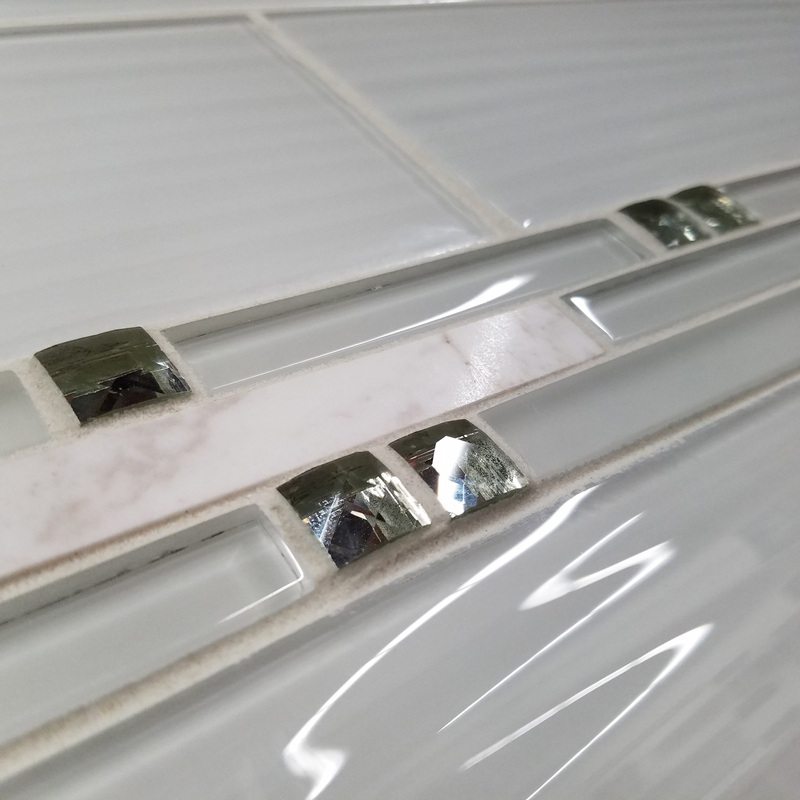 It fits traditional homes and modern spaces alike. 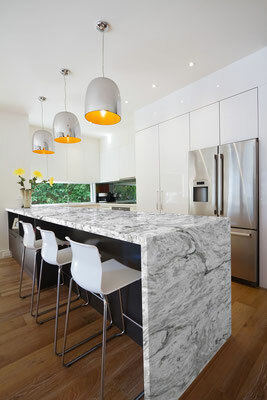 If you're looking for more brightness, life, and joy in your design, consider white! 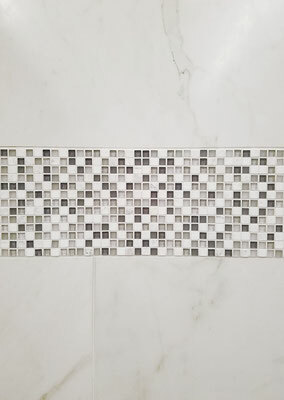 Visit our Houzz idea book for our white tile backsplash and shower design ideas. Check out these white tile idea boards from our showroom! 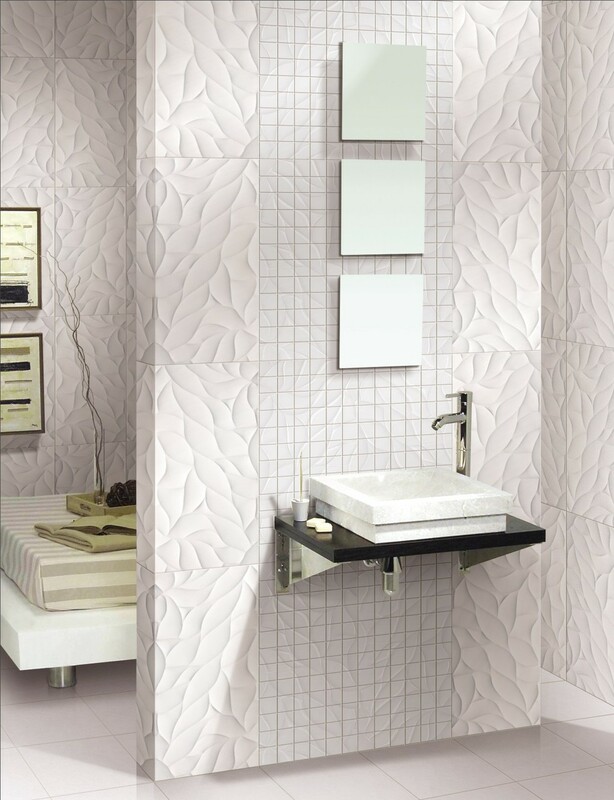 White is the perfect backdrop for bright colors. 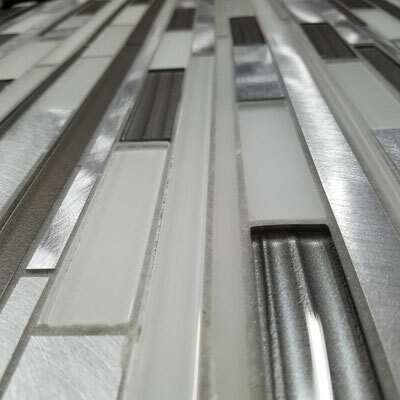 It's usually a smart move to keep permanent fixtures such as tile and countertops neutral instead of committing to a vibrant hue. Bold colors such as red, green, blue, orange are usually reserved for items that can easily be changed, such as towels, throw pillows, or artwork. 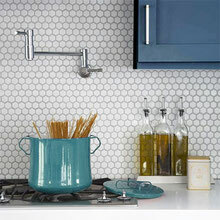 If you get bored with a strong color, it's much easier to repaint or redecorate than it is to re-tile. 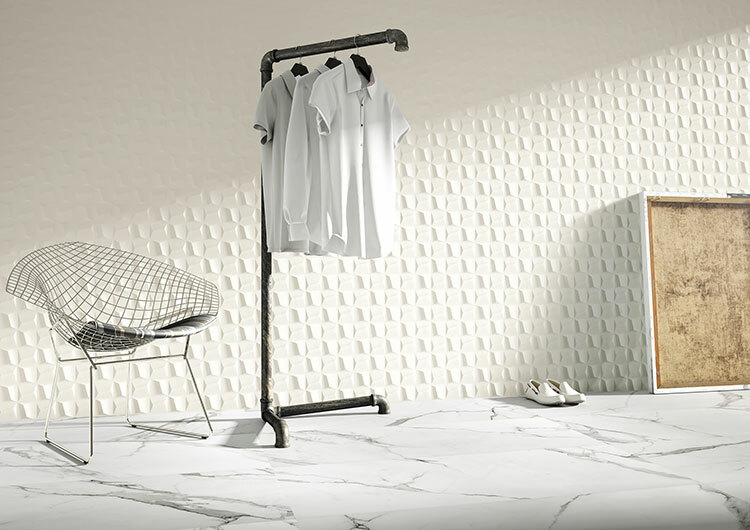 Textured or 3D surfaces are currently very popular in the tile design world, and what better way to showcase a stunning texture than with a crisp white base? 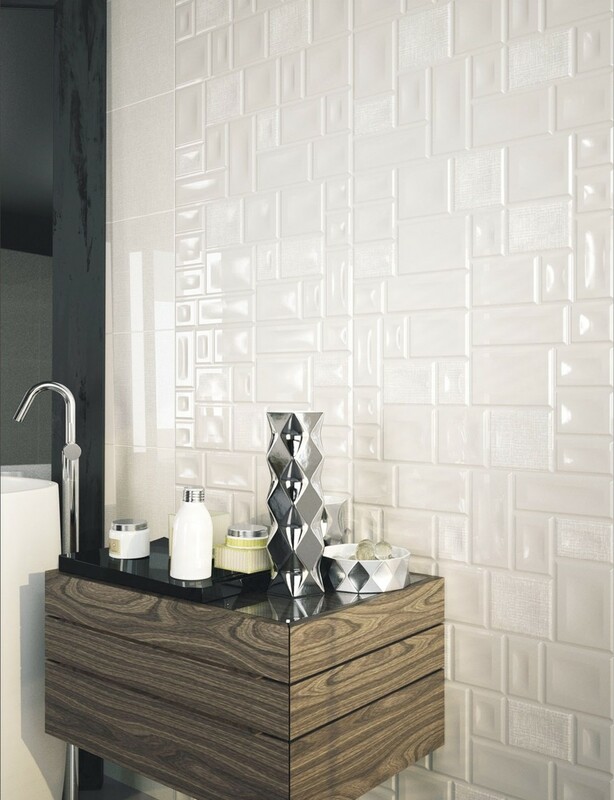 Whether glossy or matte, solid white or with subtle marble-like veining, these tiles are instant wall art that enhance any space. Read more on our 3D tile blog post! 3D Tiles in Action! Click to see bigger pics of these stunning spaces. 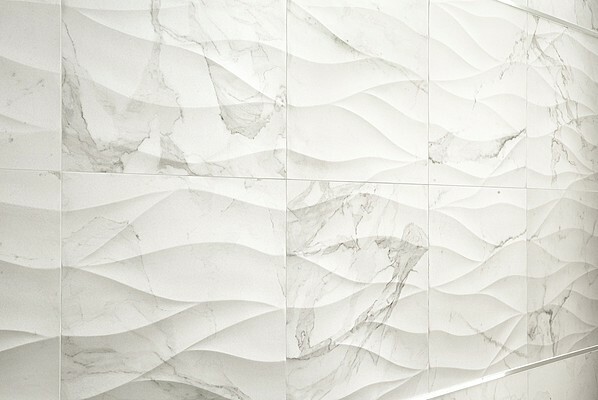 White marble is a timeless, elegant decorating choice, and other white natural stones have grown in popularity over the past 10 years. 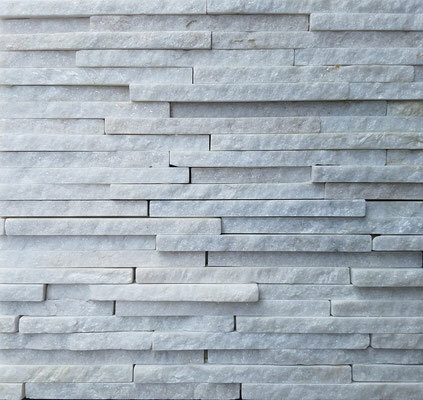 A white stone look softens the intensity of white with subtle veining ranging from gray to taupe to tan, and provides more interest than a stark, solid white wall. From stone-look quartz countertops to porcelain tiles to real natural stone, try white! 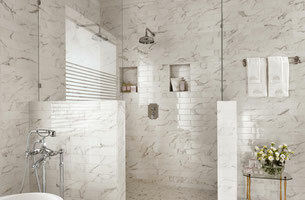 One major worry about an all-white kitchen or bathroom is clean-ability. How do you keep your whites white? 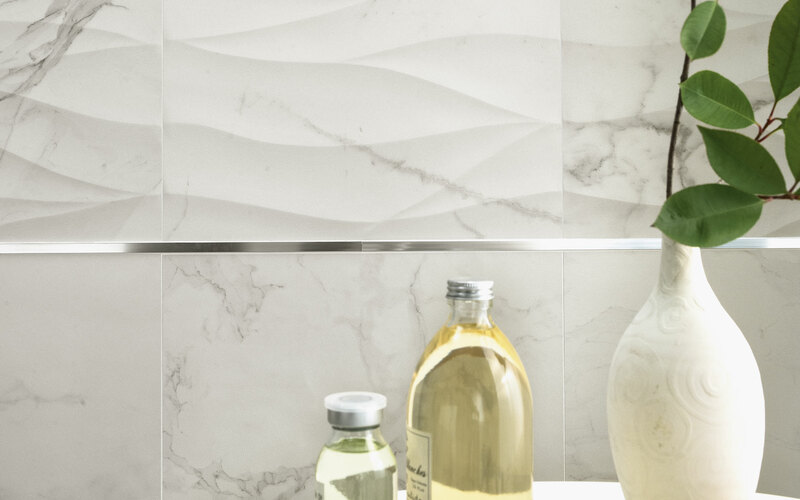 Porcelain, ceramic, glass, and quartz are the easiest surfaces to keep clean. 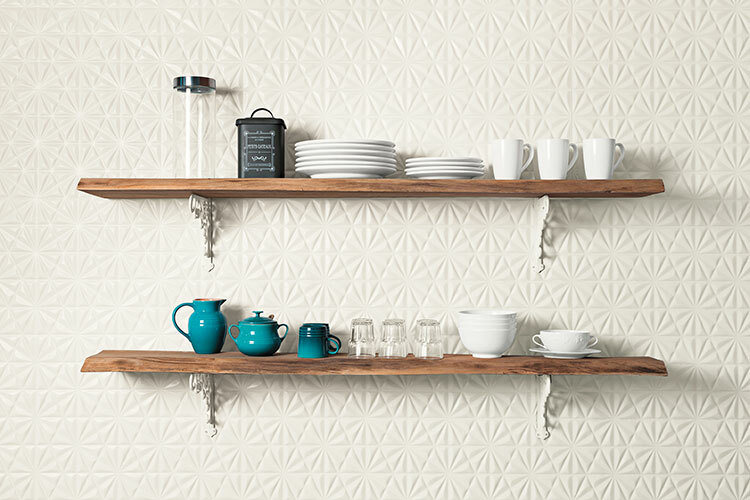 They're virtually non-porous and are very stain-resistant. You don't need to seal them, with the exception of some matte quartz countertops, unglazed porcelain tiles, crackle glazed ceramics, and crackled glass. 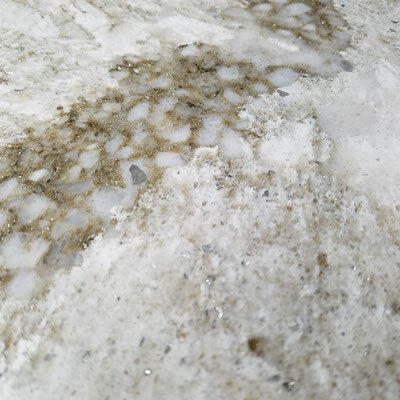 Natural stone, such as white marble or granite, needs to be sealed to help prevent stains, and you must be careful what cleaners you use. 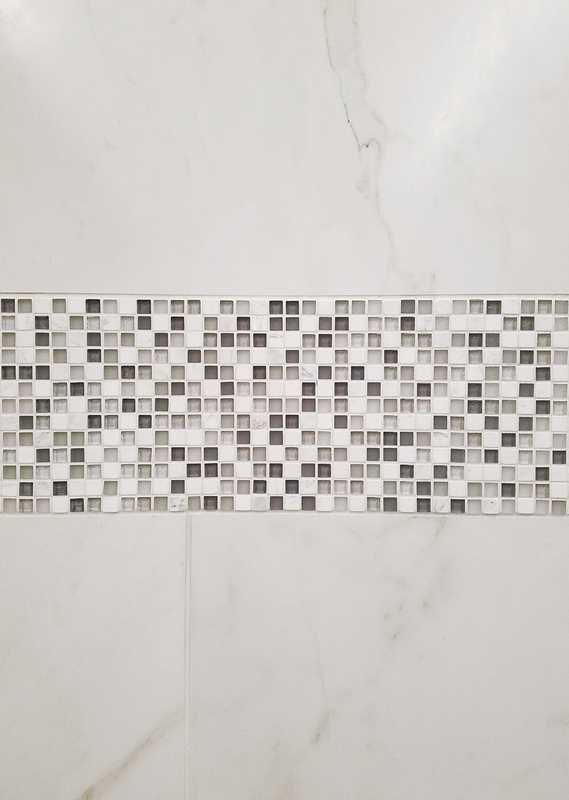 If you have a glass and stone blend mosaic, treat it as if the whole surface is stone. Visit our natural stone care and maintenance page for more details. 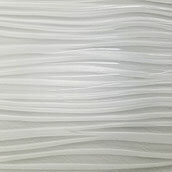 Working with White? Let Us Help! 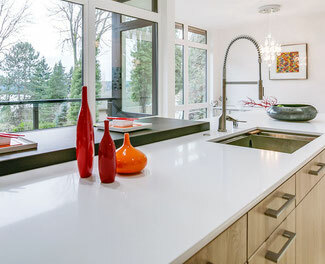 Whether you have white cabinets, white countertops, or want an all-white room, we can help! With dozens of quartz and granite options for countertops, we can help you pick the best one for your space. 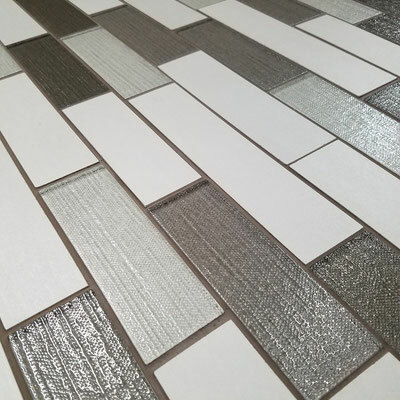 Need tile for floors? Shower? 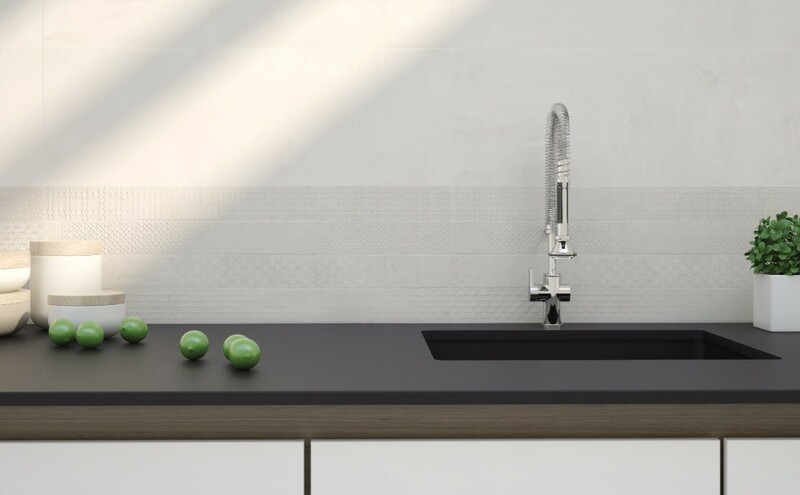 Backsplashes? 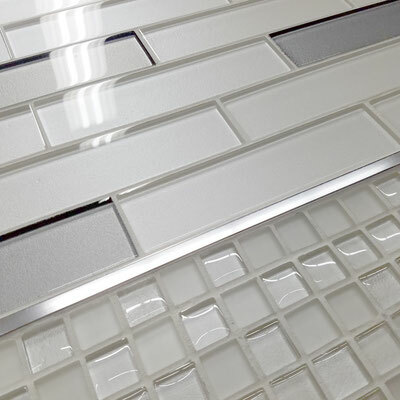 We've got over 100,000 options and we'll help you find the perfect one. 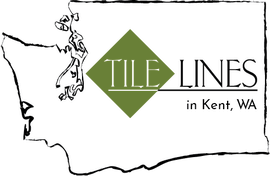 Call 253-872-0449 or email info@tilelines.com to schedule a complimentary in-store design appointment and we'll help you design your dream space. Read our blog post about what to bring to a tile showroom for the best possible experience!